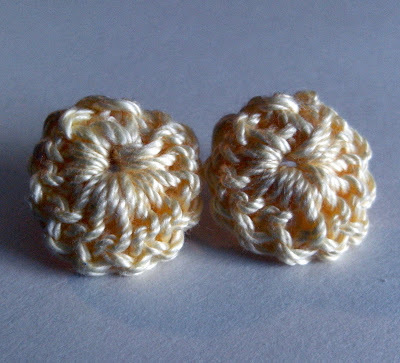 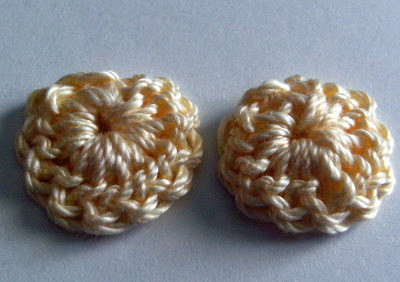 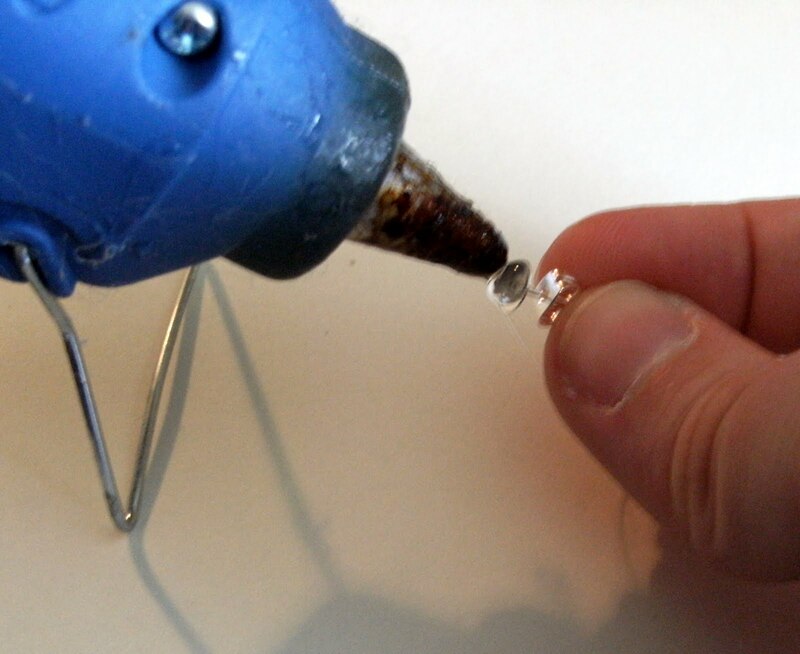 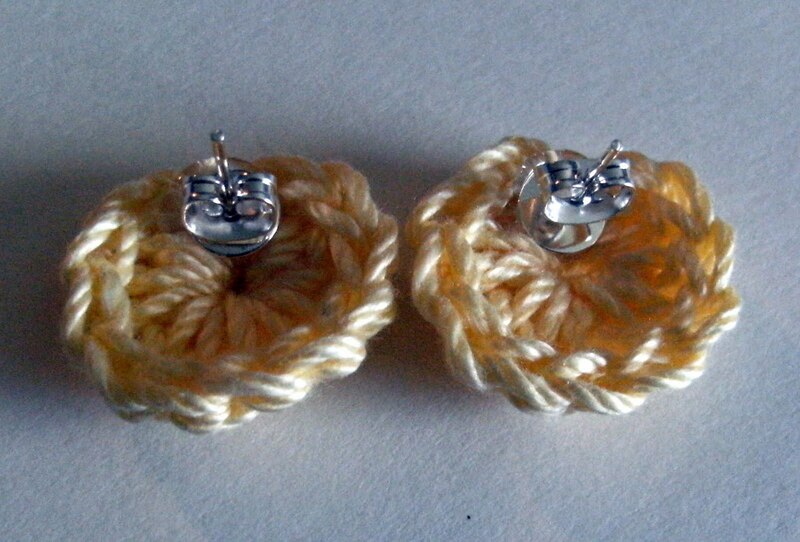 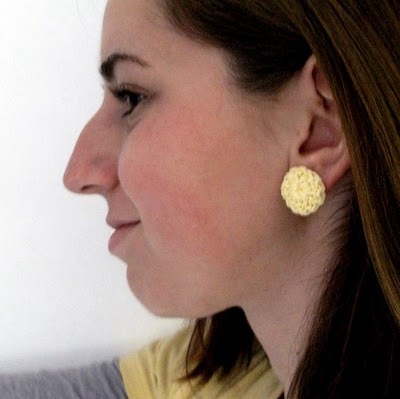 They are ridiculously simple to make... all they are: little crocheted circles hot glued to earring backs. 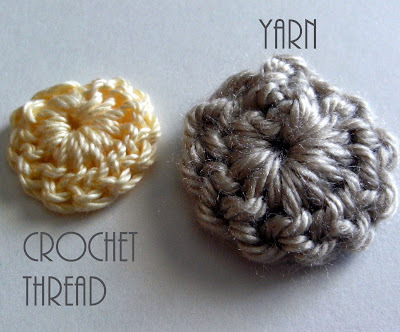 So if you are a crochet newbie and haven't checked out my circle tutorial, you may want to do that now. 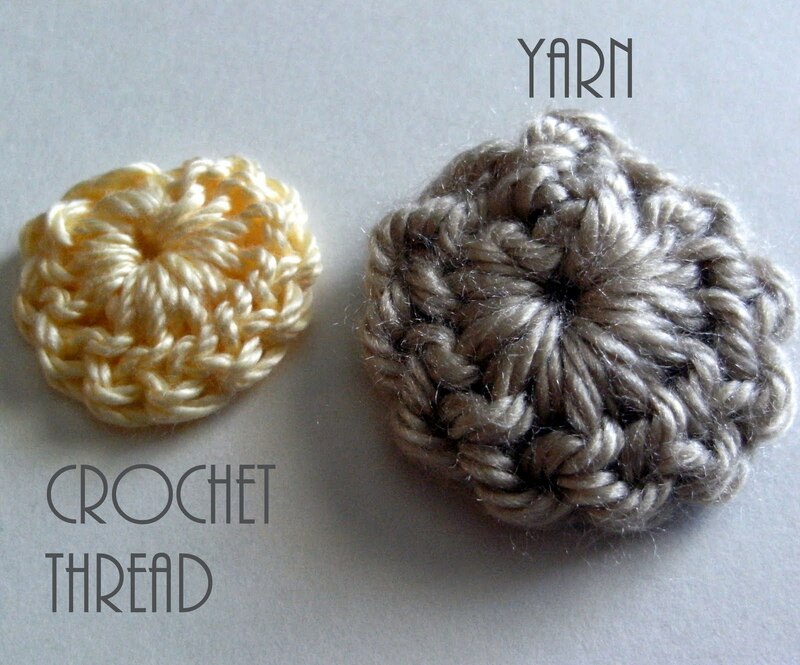 The only difference is that you're going to do it with smaller thread and a smaller needle! 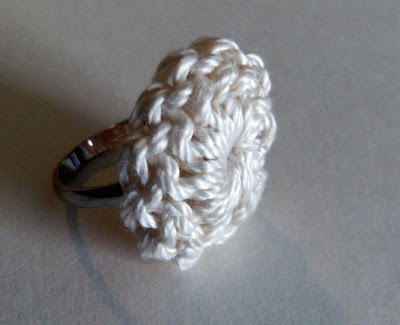 So easy, and so adorable. 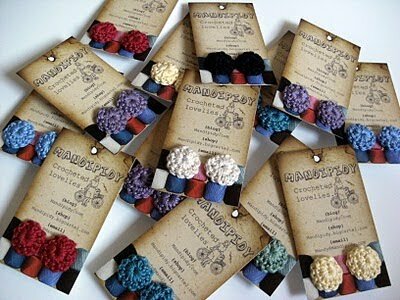 I like them in every color.